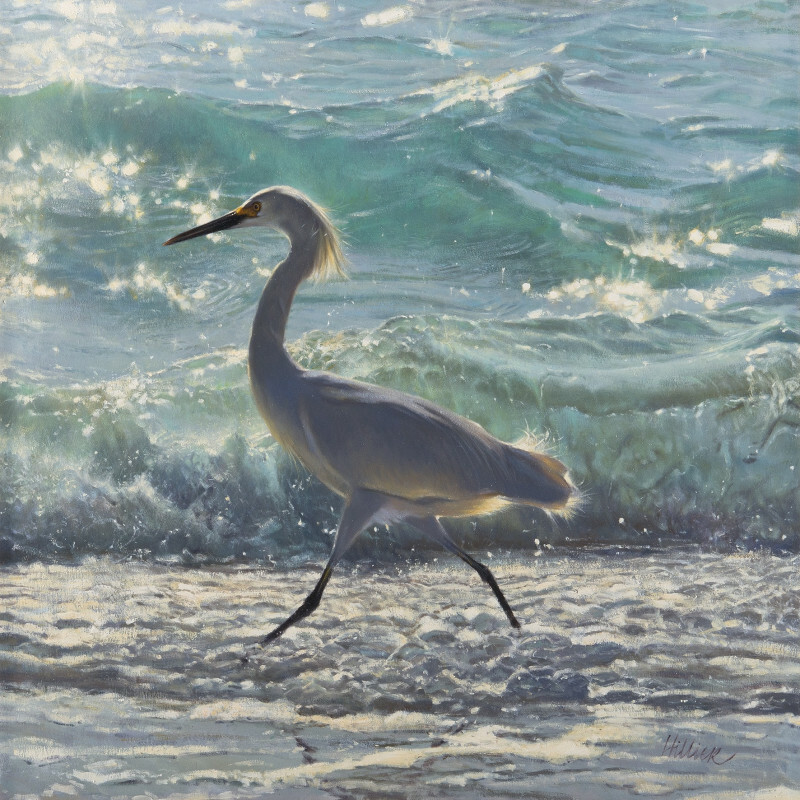 Matthew Hilllier is a wildlife artist, now based in the US. Having studied at Dyfed College of Art, he became an illustrator, working mainly in watercolour, before shifting his practice to concentrate on unique works in acrylic. Hillier travels widely for his work, sketching and photographing in the wild to create material for his studio work.